First you get to choose from different colored hands to manicure. Then, pick the nail spa and wash your customer’s hand, put lotion on it, clip their nails and file their nails. Don’t forget to use nail polish remover and remove the old nail paint! 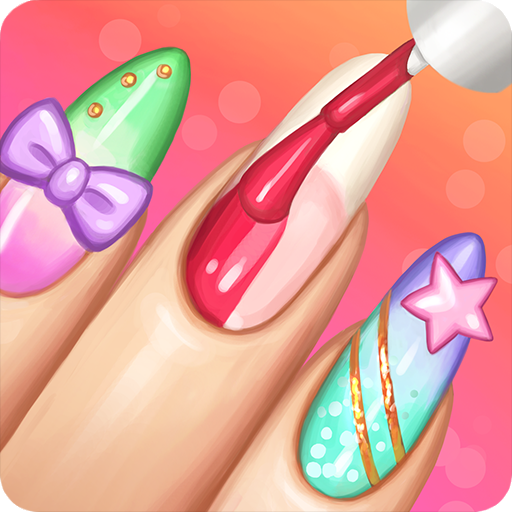 Now you are ready to do some serious nail art design! Create a nail design fit for any princess! From nail polishes, nail sets, nail stickers, gems, rings and even bracelets, there are literally millions of different combinations and styles you can create! It was just what I was looking for all this time. ★★★★★ - Kagster L.
I love this app because it gives me an opportunity to express myself. ★★★★★ - Tatyannna E.